Once-mighty Hurricane Willa has weakened into a tropical depression as it moves rapidly over west-central Mexico. The U.S. National Hurricane Center says the storm had maximum sustained winds of 35 mph (55 kph) early Wednesday and was centered about 75 miles (120 kilometers) east-northeast of Durango while moving briskly to the northeast at 25 mph (41 kph). PANAMA CITY, Fla. (AP) — Powerful Hurricane Michael slammed into the Florida Panhandle with terrifying winds of 155 mph Wednesday, splintering homes and submerging neighborhoods before continuing its destructive march inland across the Southeast. It was the most powerful hurricane to hit the continental U.S. in nearly 50 years and at least one death was reported during its passage. 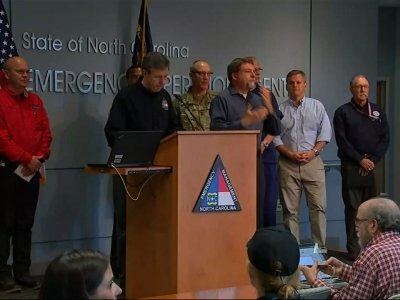 North Carolina's governor has announced that Interstate 95 has been reopened to all traffic within the state. Gov. Roy Cooper announced the surprise development Sunday night in a news release. MEXICO CITY (AP) — Federal officials declared emergencies in three northern states Friday as heavy rains from a tropical depression caused flooding that killed at least three people. The Interior Department initially declared a state of emergency for 11 municipalities in Sinaloa state, where the deaths were reported. Later in the day, it extended the declaration to 11 municipalities in Sonora state, which borders the U.S. state of Arizona, and two in Durango states. Florence causing ‘catastrophic’ flooding in N.C.
Board of Water Supply Chief Engineer Ernie Lau said Thursday the dam is "nowhere close" to breaching. AUSTIN, Texas (AP) — Gov. Greg Abbott says Texas is preparing for a possible tropical storm system headed toward the Gulf of Mexico. FAIR GROVE, Mo. 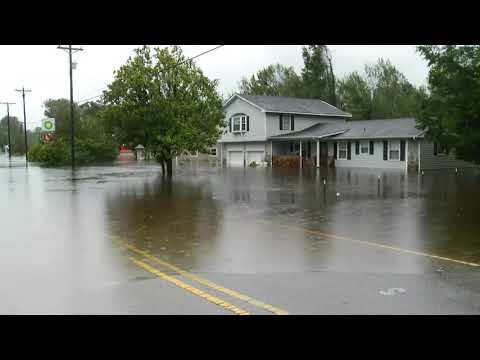 (AP) — Minor flooding is being reported along the Missouri and Mississippi rivers after the remnants of Tropical Depression Gordon dropped heavy rain across parts of Missouri. National Weather Service meteorologist Eric Wise says 3 to 5 inches fell in parts of southwest Missouri through Saturday, and that heavy rainfall also was reported in central and eastern parts of the state. ST. LOUIS (AP) — The remnants of Tropical Depression Gordon are expected to drop heavy rain across much of Missouri through the weekend, creating a risk of flooding and flash-flooding. The National Weather Service says south-central Missouri and the St. Louis area could get up to 6 inches of rain by Sunday with more in some spots. KOLOA, Hawaii (AP) — Officials are urging some residents on the Hawaiian island of Kauai to evacuate because heavy rains are causing streams to rise. Emergency officials strongly urge some south Kauai residents to voluntarily evacuate Tuesday. A shelter is open. The National Weather Service says leftover moisture from Tropical Depression Lane is bringing rain to Kauai. Parts of Kauai's north shore are cut off because heavy rains have closed roads. The National Weather Service says leftover moisture from Tropical Depression Lane is bringing rain to Kauai Tuesday. The service recorded nearly 18 inches (46 centimeters) in one part of Kauai during a 24-hour period ending Tuesday afternoon. MEXICO CITY (AP) — Tropical Storm Daniel weakened to a tropical depression Monday, and forecasters said it was likely to dissipate by Tuesday while remaining far off Mexico's western coast. The U.S. National Hurricane Center said Daniel had maximum sustained winds of 35 mph (55 kph) Monday night. It was centered about 615 miles (985 kilometers) west-southwest of the southern tip of the Baja California Peninsula and was moving northwest at 9 mph (15 kph). MEXICO CITY (AP) — Forecasters say a tropical depression has formed off the Pacific coast of Mexico and is expected to become the first hurricane in the eastern Pacific's hurricane season within a few days, though it isn't predicted to pose any threat to land. MIAMI (AP) — Forecasters say chances are increasing for the first tropical weather system of the year in the Gulf of Mexico. NEW ORLEANS (AP) — Hurricane forecasters say a tropical disturbance nearing the Gulf of Mexico has a 40 percent chance of developing into at least a tropical depression this week. National Hurricane Center meteorologist Dennis Feltgen says if the system eventually strengthens into a tropical storm, it would be the first of the 2018 season and would be named "Alberto." HANOI, Vietnam (AP) — A powerful storm that left a trail of death and destruction in the Philippines was downgraded to a tropical depression Tuesday and failed to make landfall in Vietnam. 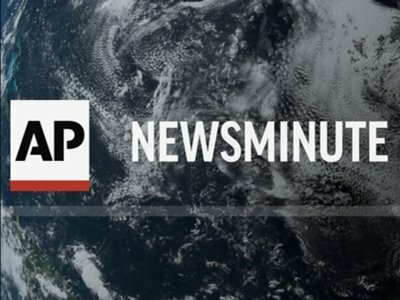 MIAMI (AP) — A new tropical depression has formed in the central Atlantic but does not currently pose a threat to land. The depression's maximum sustained winds Monday morning are near 35 mph (55 kph). The U.S. National Hurricane Center says some strengthening is forecast and the depression is expected to become a tropical storm later in the day. HANOI, Vietnam (AP) — Some villages in Vietnam are still isolated by landslides and destroyed bridges after a tropical depression last week that has become one of the country's worst natural disasters in years. HANOI, Vietnam (AP) — Floods and landslides have killed at least 54 people in Vietnam and left another 39 missing since a tropical depression hit the country earlier this week, in one of its worst natural disasters in years, officials said Friday. The heavy rain in the central and northern regions disrupted transportation in some areas, hampering efforts to rescue the missing. BILOXI, Miss. (AP) — In a story Oct. 9 about weather associated with Hurricane Nate, The Associated Press reported erroneously that there were no U.S. deaths. There was one storm-related death. HANOI, Vietnam (AP) — Floods and landslides caused by a tropical depression have killed at least 43 people, left 34 others missing and damaged homes and crops in northern and central Vietnam, officials said Thursday. The storm injured 21 people and destroyed or damaged more than 1,000 houses, submerged 16,740 other homes and damaged infrastructure and crops in six central and northern provinces, the Vietnam Disaster Management Authority said. HANOI, Vietnam (AP) — Floods triggered by a tropical depression in Vietnam have killed 15 people and left eight others missing, officials said Wednesday. The storm hit central Vietnam on Tuesday, bringing heavy rain to the region and to parts of northern Vietnam. Eight people, including two children, were killed in central Nghe An province, disaster official Nguyen Thi Kim Dung said. Officials in Burke County said a firefighter was hit and killed by a car late Sunday while cleaning storm debris from a road in Morganton. According to officials with the Triple Community Fire Department, the 40-year-old man was working with another firefighter to clear the debris from the road leftover by tropical depression Nate when a car struck him. Officials said he died on impact. BILOXI, Miss. (AP) — Hurricane Nate brought a burst of flooding and power outages to the U.S. Gulf Coast before weakening rapidly Sunday, sparing the region the kind of catastrophic damage left by a series of hurricanes that hit the southern U.S. and Caribbean in recent weeks. TALLAHASSEE, Fla. (AP) — The matchup between No. 13 Miami and Florida State could once again be impacted by inclement weather. Officials from both schools and the Atlantic Coast Conference are monitoring Tropical Depression 16, which is expected to turn into Tropical Storm or Hurricane Nate by the weekend. The game Saturday at Doak Campbell Stadium was originally scheduled for Sept. 16 but was postponed due to Hurricane Irma. MEXICO CITY (AP) — A new tropical storm formed off the southern Pacific coast of Mexico on Wednesday, while another system that could eventually reach the U.S. as a hurricane was developing off Central America. The U.S. National Hurricane Center said Tropical Storm Ramon was expected to move parallel to the Mexican coast over the next day or so, bringing heavy rain to southwestern Mexico, though it wasn't projected to reach hurricane force. A newly formed tropical depression is likely to bring rain to the Triangle area this weekend and the storm could bring minor flooding to parts of the region, WRAL forecasters say. Authorities are raising Harvey's death toll to 39 almost a week after the storm slammed into the Texas coast. Harris County Institute of Forensic Sciences spokeswoman Tricia Bentley said Thursday night that the office has confirmed seven more storm-related deaths. ROCKPORT, Texas (AP) — Donning blue work gloves and dispensing hugs, Vice President Mike Pence cleared storm debris and comforted Texans grappling with the aftermath of Harvey's destruction on Thursday, bringing a more personal touch to the hurricane zone than President Donald Trump did during his visit two days earlier.